The Gallery of Sea, Sky, and Earth. Dynamic cliffs and other spectacular vistas on National Route 231 and 232, or the Ororon Line, are overwhelmingly attention grabbing! Also, you can enjoy a panoramic sunset from anywhere along the Ororon Line. At the mouth of the Teshio River a footpath winds through a stand of woods which seems to lead us through the ages back to pre-historic Jomon times. 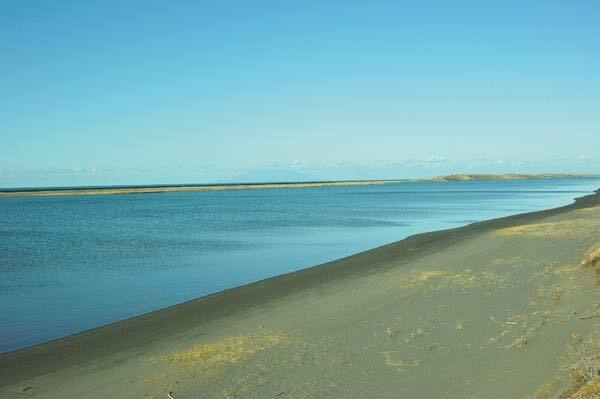 From this footpath you can see the Teshio River flowing to the sea. This site is open from May to October. 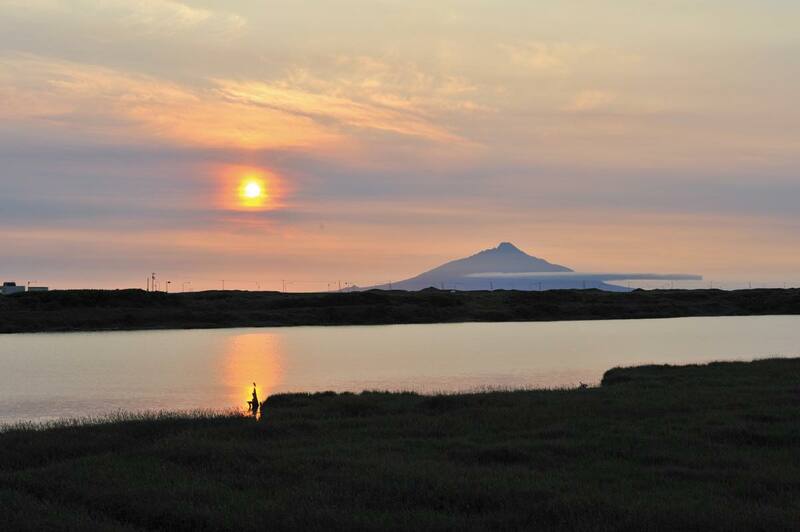 You can enjoy a fantastic sunset as the surface of the sea and river turn orange. Also, you can see the awesome Mount Rishiri-Fuji Mountain out at sea. This park was made to utilize the unique landscape along the river. 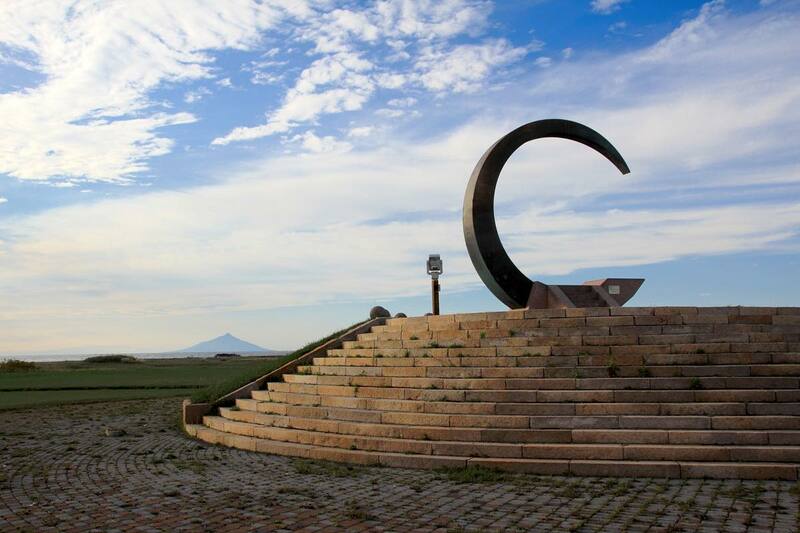 “The Monument of Wind and Sunset” is one of the most popular viewpoints to see the sunset. From the observation deck here you can get a full view of Mount Rishiri-Fuji, which looks as if it were floating on the Sea of Japan. This park is also famous for its cherry-blossoms in spring. There is a campground near the park. 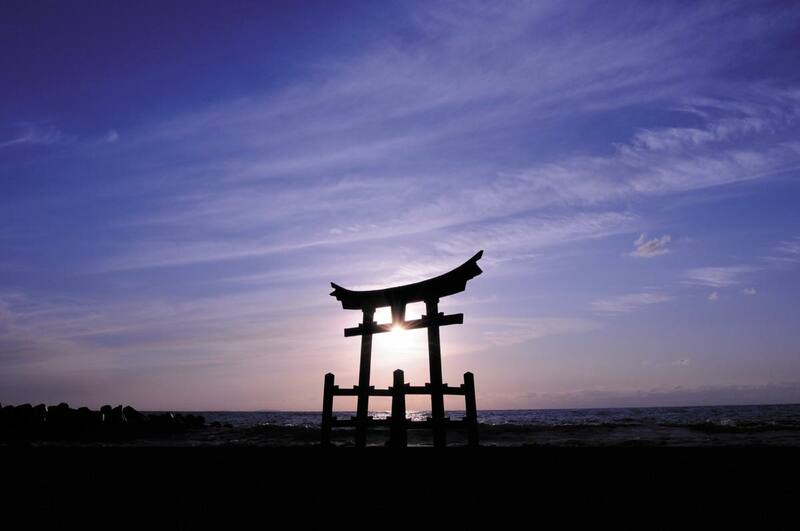 You can enjoy a mysterious scenary of Torii, a Shinto Shrine gate, which was built in the shallows of the sea. The sunset beyond this Torii is nothing but fantastic. 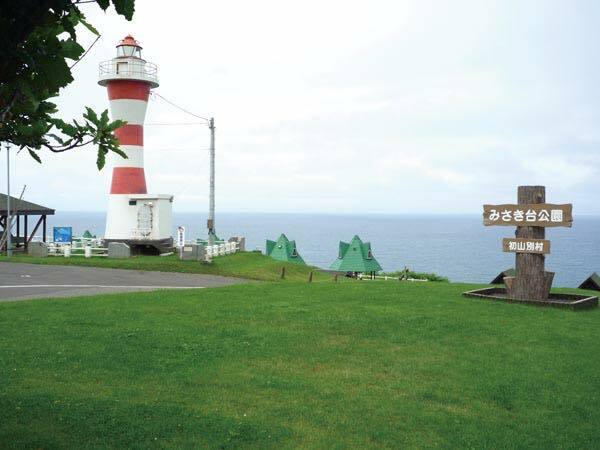 The park is part of “Romantic Road Shosanbetsu”, which is a Michi-no-Eki (a roadside rest area). 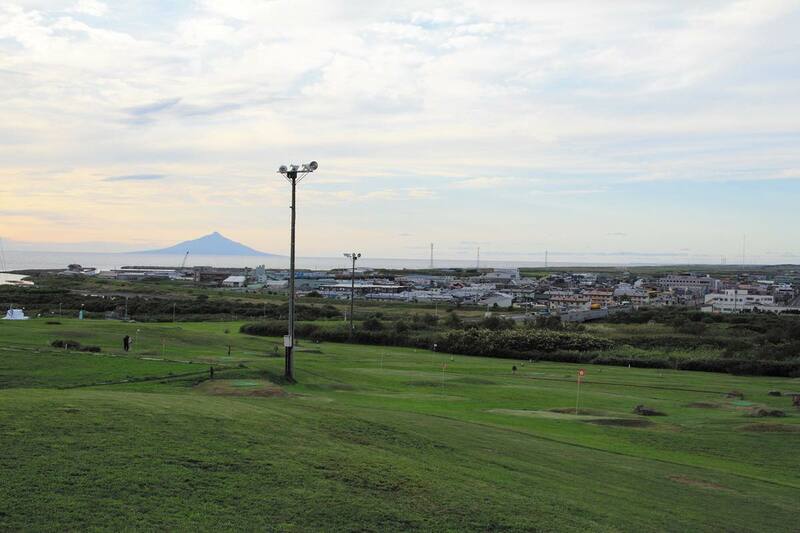 From the park you can see Teuri, Yagishiri, and Rishiri Islands. A campground and a hot spring are also available near the park.